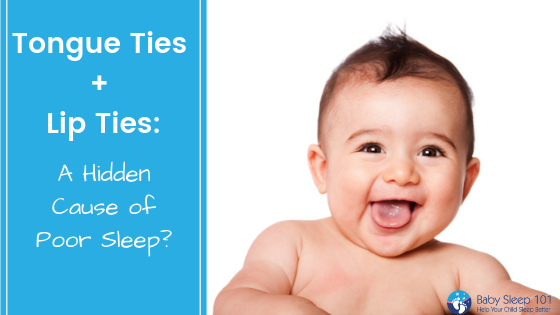 Welcome to Part 7 in this sleep training series. The conclusion of this topic brings us to by far the most talked about method of sleep training; Extinction or as many (incorrectly) refer to it ; ” Cry It Out”. 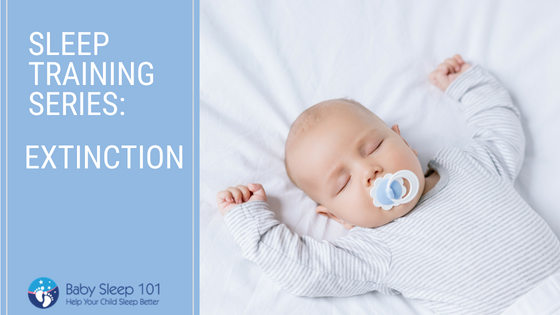 I have covered various techniques to help parents change their child’s sleep associations, and clearly, Extinction is only one of many methods, but this option is definitely the most well-known and most controversial. Part of the controversy stems from the misunderstanding of not only this method, but of sleep training in general. Sleep training, and especially Extinction, is not about putting a child down, closing the door and ignoring them until morning. 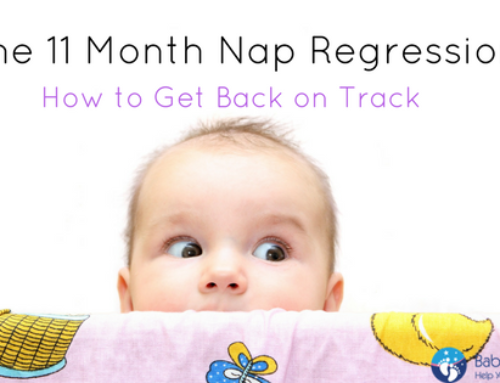 Sleep training is only about removing learned habits, and Extinction has guidelines around it. Like all techniques, there are certain steps that are vital to helping you see success quickly. If you don’t do the preliminary work, set up a great routine, keep bedtime early in relation to the naps, then it will fail. 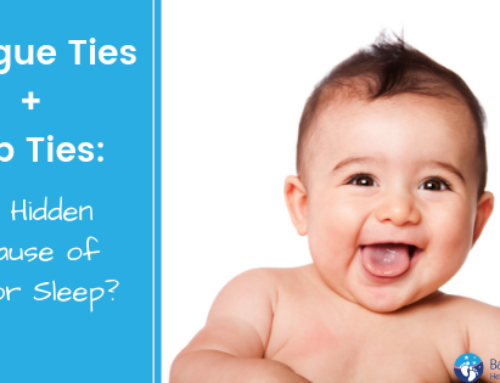 Want to help your child sleep better? Download the FREE Sleeping Through the Night Guide. So if you haven’t read how to set yourself up for success yet, please start at the beginning of this series and read through them. If you’ve already done so, then let’s move on to a more in depth look at the Extinction Sleep Training Method. Love it or hate it, Extinction usually evokes strong opinions. Advocates testify to its quick success rate and ease of process, while critics feel it’s a harsh option. Some go so far as to state that it can cause life-long biological and neurological negative changes. If choosing Extinction, there is very little you have to “do” for this once you begin. It’s more about what you do prior to starting. 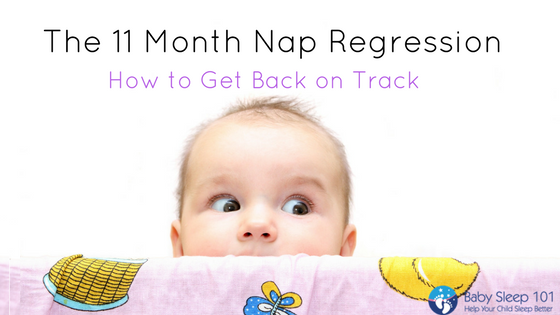 Set up a quality daytime routine with restorative naps and early bedtimes and pre-select your child’s night feed time, if they still require one. If you were choosing this method for a toddler or preschool-aged child, it would be important to child proof the room for any safety issues ahead of time if they were in a toddler bed. At bedtime, you would do your wind down routine with your child. This would be the time for kisses, cuddles and snuggles. Then, making sure your child was still wide awake, (hopefully relaxed, but not so much that their eyes are closing, or getting heavy), you would lay them down, and then leave the room. When Do I Go Back Into The Room? When using Extinction, the general practice is that you stay out of the room until it’s time for a feed. If no feeds are being offered, then you may choose to stay completely out until morning. Just because you choose Extinction, it doesn’t mean that you need to ignore your baby, your parenting instincts or common sense. If, for any reason, you want to check on your child, then please, go do it. The overall goal of Extinction is that, most of the time, you are giving your child time and space to get themselves to sleep. If you briefly interact with them here and there, it isn’t going to set their progress back. You wouldn’t put a time limit on their crying for the night time (except if it was time for a feed) but for naps you would limit it if they didn’t sleep. Depending on their age, you may choose to end the nap after an hour of trying. Many parents often very understandably worry about the amount of crying that their child may do, but it has been my experience that the child often fusses less than the parent anticipated. This is in no doubt due to having a predictable and age appropriate routine in place ahead of time. 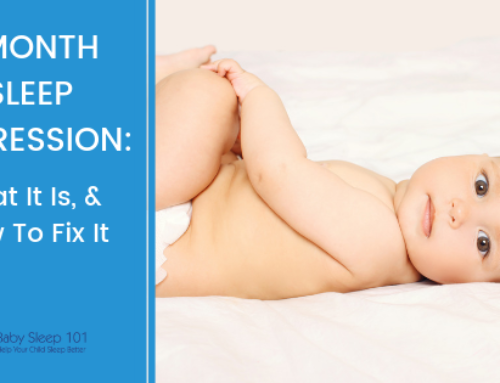 It’s important to note that children cry out of frustration from having sleep props and associations removed, but they also cry when they’re overtired. By keeping bedtime early and having restorative naps, overtired crying is greatly reduced, allowing sleep associations to change rather quickly. 1. Your child needs to be on a great daytime routine ahead of time to help minimize the amout of crying. This is will impact success significantly. 2. 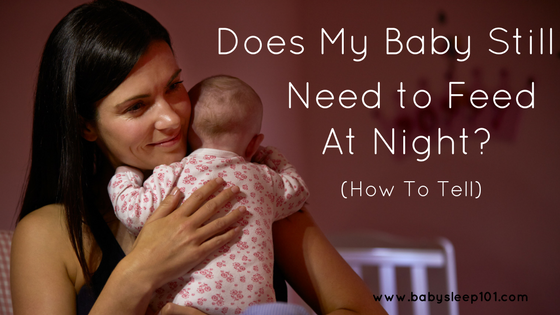 If your child still requires a night feed, have an idea of what time it is happens at, so you know when to enter the room. 3. Ensure your child’s sleep environment is comfortably cool and dark to encourage sleep. 4. Have a good support system in place to help you remain consistent in your approach. Extinction tends to work the quickest of all methods, *if* the child’s daytime routine is on track with well timed naps and an early bedtime (I’m not sure if I mentioned that yet. 😉 ). Often in as little as 4 nights, parents can see changes. Again as always, naps will take longer to notice progress. Although Extinction or Cry It Out can be very difficult for some parents, it is often the quickest technique to see changes. But like every method, it has its advantages and disadvantages and each family needs to evaluate them according to their own parenting philosophy. Are you unsure if Extinction is right for your child? 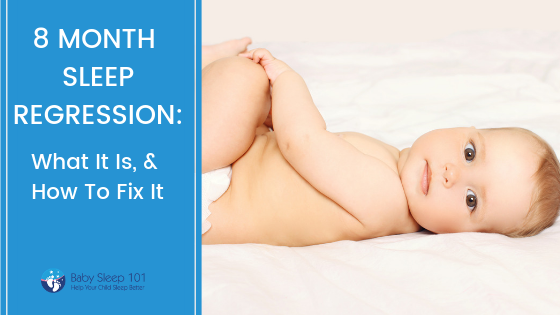 Contact Baby Sleep 101 today and we can help determine what is right for your family and put together a customized sleep plan. Remember to pick up your free Sleeping Through the Night Guide, here. 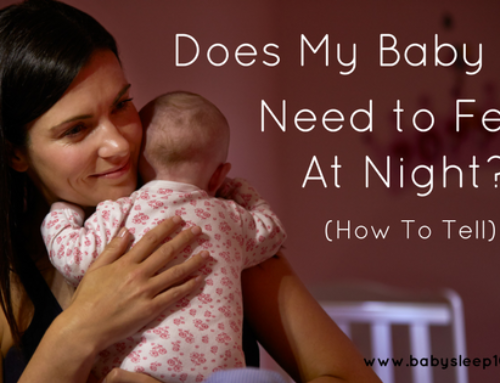 Does My Baby Still Need to Feed at Night?